Stars and pinwheels dance in a sea of scraps. 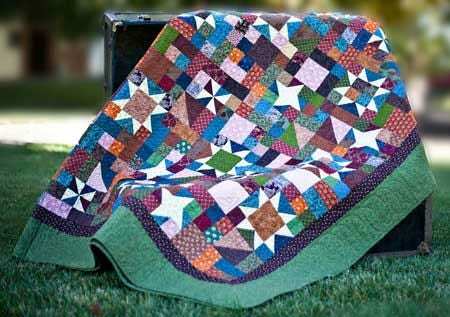 This patchwork quilt pattern is precut layer cake and charm pack friendly. Can be easily cut using the 8" Qube from Accuquilt. Bed quilt: 80" x 94"